In case you didn’t know already, it’s February 29th AKA “Leap Day” today. It’s a day that comes only once in four years* and Verizon is celebrating it with a special one-day sale which offers some of the latest and greatest 4G LTE devices $100 off the original retail price. Check out promotion details after the jump! That’s not all! Verizon has also placed netbooks from HP on discount. Folks not interested in getting a new smartphone can always have a look at the accessories on sale which include 4G LTE MiFi Mobile Hotspots and USB modems. If you’ve been on the fence about getting a new 4G LTE smartphone from Verizon, today wouldn’t be a bad day to go ahead. There is a lot of different devices from you to choose from, whether it a low-end device you’re looking for, or a high-end one. If you ask us, we recommend going ahead with the Samsung Droid Charge if you’re on a tight budget. It has a fast single-core chip, a vivid Super AMOLED display, great optics and, most of all, it has what is considered to be the longest battery life of any 4G LTE smartphone. On the other hand, if money isn’t an issue, you have three choices. There’s the Droid 4, Droid RAZR Maxx and Galaxy Nexus. 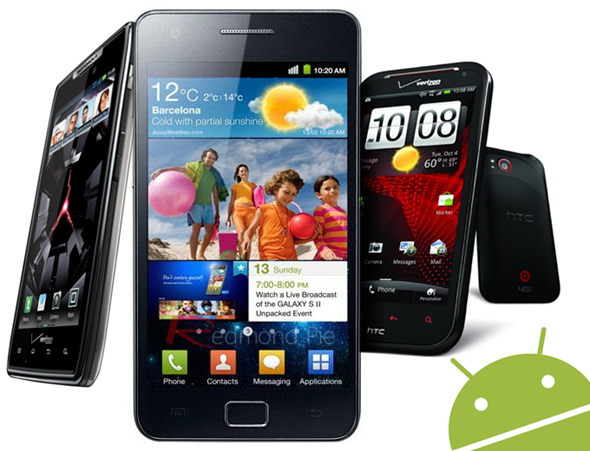 Each device has a tradeoff: the Droid 4 has a hardware keyboard but has average battery life, the RAZR Maxx doesn’t have a hardware keyboard but has strong battery life while the Galaxy Nexus has a beautiful 720p HD display with stock Android software. Personally? I’d get the Galaxy Nexus so I won’t have to worry about waiting for software updates from my device manufacturer. If you have battery life issues, you can always get an extended battery! Coming back to the promotion: it is only for today i.e. February 29th and is an online exclusive. *You may or may not have known this already, but you can tell if it’s a leap year or not by checking if the year is evenly divisible by 4 e.g. 2008, 2012, 2016.